Okay, I kind of want the stalker case back. Not gonna lie, I am pretty annoyed that this court case came back to the show. I already had in my mind that the disabled man got off easy due to his disability, upstanding reputation in the community, and the fact that it was self-defense. It helped me sleep better at night thinking that. But now the writer has brought him and his mama back and basically said that their life has been all kinds of misery and misunderstandings since that day, and he is thrown in jail for 20 years, um….no. 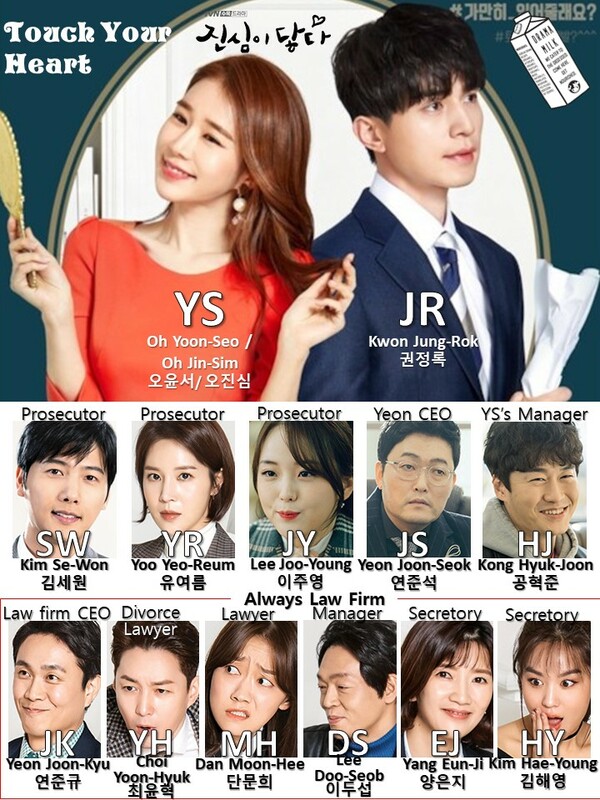 The one good thing is that Jinsim had a chance to show her skills in the law office as she organized all of Jung-rok’s things and I think she kind of understands that Jungrok broke up with her because of her fame (or maybe not, I don’t know). She also is not petty, which is nice. So hopefully things will work out this episode because I don’t want it to drag into next week! Our newest behind the scenes video is done! HERE IT IS! Subscribe here to know when more videos drop. Watch our other videos here, here, here, and here! We will start this one at 9:30 am CST! Jungrok gets to work and is about to catch the elevator. The CEO is already there, they do not look like they are on speaking terms. Jungrok gets in, hesitantly. They stand their quietly. Upstairs. Eunji has to answer calls and tell everyone that Jungrok is not there and they are not saying anything about it. They all start to talk about taking so many calls and how their website is down due to all the attention and how their income is down, too. But they all stop talking when they see that Lawyer Yeon and Jungrok have come in and heard it all. Yeon goes to his office. Eunji asks him to be a bit nicer to Jungrok, things are already difficult for him, it will be even harder if you are hard on him too. Yeon says he is also having a hard time and Yeon is stubborn, he should be the one to come to me an apologize. In Jungrok’s office, he kind of just sits there for a moment thinking and then checks all the news articles online. He goes into Yeon’s office. Yeon – You behave like you will never talk to me, what do you want to say? Yeon – What is this? An apology letter? JR – My resignation letter, I feel like I am affecting the law office after taking this case. Yeon – So you make this big issue and run away? Do you think this is the best? Yeon – Hey, you shouldn’t do this to me, I never took you as an employee, You are my hubae and dongsang that I trust. But more than that, you took this big case without my permission and now you are quitting? JR – The lawfirm has a lot of hate calls because of me. But I have to take this case. I could have messed up someones life. I should turn it back. This is the only way. Yeon – Whatever, WHATEVER. I don’t need an irresponsible person like you, whatever you do, just do it! He sits back at his desk. Everyone outside hears it. Later on, Choi gives a presentation on a divorce case, but he looks like he does not want to be giving this presentation at all and kind of look at Yeon as if he is about to explode suddenly. Jung is in his office looking at Jinsim’s post it notes. Her wish was that he would not be swayed and will complete this case nicely as he always does. Later on, Yeon talks and paces on the phone in the office. He is calling someone about the recommendation for a lawyer, ability does not matter, he just wants someone responsible that will not betray him with a resignation letter. Jungrok overhears and walks to his office (though this was on purpose). Haeyoung tells him that is her phone, Yeon says he know, he knows. The situation is tense. Eunji looks around and asks what they should do. That night, Jinsim gets home and wonders if Jungrok is okay. She gets out her phone to see if she can find someones number to ask about Jungrok and sees Kim Sewan. At the busstop, Jungrok answers a call from Sewan who tells him that they should have a drink, someone wants to see him and says that they can’t break up like this. Jungrok asks what he is talking about. Cut to him in a quiet cafe. Sewan calls him over to him, the law CEO is sitting at the table (lol). Yeon tells him to sit at the table. Sewan sits as well and tries to mediate between the two. he understands that Jungrok does not want to negatively affect the law firm, but he should not just quit. Hyung is right, he is the CEO and told yo not to bet on something uncertain, you jashik man. CEO Yeon mutters that he actually told him something bad about being a showman lawyer. Sewan tells the CEO that HE is the one that went too far, that is bad. But Jungrok says that he did not get his permission. Sewan is stunned that he took it without permission??? CEo says that Jungrok is considerate, he is not someone that does not think. Sewan is all likel YOU KNEW THIS HYUNG? Sigh, you are so inconsiderate. Sewan is basically flip flopping between sides as new information comes out with each breath. They tell him that he is not helping. Sewan says that there are mistakes on both sides, so just get back together. You two talk, I am leaving. Jungrok and Sewan are all like, this is not a blind date, dont leave! But Sewan takes off. CEO takes a big drink of soju and mutters, jashik, again. Back at home Jinsim texts Kim Sewan. JS: Thank you for wrapping up that last thing, I did not say thank you yet. Byt the way, how is lawyer Kwon? But she thinks that is too obvious. Anyone will know that she wants to see Lawyer Kwon. She thinks that she has asked the law firm people about him too many times so she can’t ask anymore. Sigh. In the bar, Yeon tells Jungrok that he should know him, do you really think I am a guy that won’t understand you and will kick you out? All the times we spent together, does that not matter? Jungrok says he is sorry. He knows that the CEO asked him if he has any responsibility or part of the group feeling. What you say is all right. From the begining to the end, I was all seelfish. I started this to make myself feel good. I thought I had to be responsible for any criticizm, I don’t want to affect you and the law firm. The best thing I could do is quit. Yeon says he knows why he did it, but I don’t want to see you get hurt anymore. I know you will get hurt like 5 years ago. So, so you want me to just watch it and do nothing about it? Jungrok, do you know what I regret the most in my life? Cut to a flashback to 5 years ago with Jungrok and Yeon talking in a cafe. JR says he is on the side of the victims, what they said is all true, the cleaner is poisonous, I am sure of that. The data was all faked. Yeon says that he is defending the company, though, does your CEO know about it? Jungrok says that his CEO is part of that deal. Yeon asks if he is whistle blowing? Jungrok says that there are over 200 victims, I may be the company lawyer, but I have a conscience. Yeon tells him that he knows what law firm he is at, you are done as a lawyer if you do this. Jungrok says that he knows, but he can’t just ignore it like this. he is afraid that he will be a monster like them if he ignores this kind of thing once or twice. Internal falshback cut to Jungrok’s firm head saying that he will argue for Jungrok’s bar to be reversed. Jungrok says that he should nto be against public welfare. Yeon shows up looking much poorer than he is now running up the steps and thinking that that crazy Jungrok actually did it. He knocks on a mans door and tells him that Jungrok is a good lawyer. It looks like he is going door to door for a petition to ask for the law firm to stop disbarring Jungrok. In the present, Yeon tells Jungrok that he regrets that he did not stop Jungrok 5 years ago becuase he witnessed him falling apart. But the best thing he did in his life is save him 5 years ag. Yeon – You came to my law firm and we do all these law things together. We dont’ talk much, but you rely on me. If you quit then what do I have in my life? So, let’s go together. I dont’ want to see you collapse like this. So even though it is difficult, lets do this together. Okay? Jungrok pours Yeon a cuppa and they toast and sip together. Friends once again. Later on, Jungrok waits at the bus stop looking tired and yet a bit relieved. he looks up and sees Oh Yoonseo on the screen. JR – I won’t be swayed anymore. The law team wonders how things will be today, will it be nervous again? They think so. But then Yeon and Jungrok come in looking fresh. Yeon tells them that they will have an emergency meeting to save someone. They ask who. Yeon tells them KWON of course, he is the most hated person in the country. He is super hated, we have somuch hate mail and appeals. They both hurry off. The team wonders what happened, they super hated each other yesterday. How did their frozen heart become nice again? Maybe they drank together? Meanwhile, Jinsim finishes up her acting job for the day and walks off with her manager around the courthouse area. This brings back lots of memories, especially with her scarf. her manager asks what’s up so she tells him that she is just thinking about lawyer, they used to walk together here. Then she sees Sewan walking out and runs to talk to him. She is pretty happy to see him and says that she wanted to contact him about the stalking case, thank you for finishing it up well. And also….~. He asks if she wants to ask him about Jungrok? She says that he is fast, yeah, how is he? The publics opinion was not good. Is he okay? Sewan says that he is not okay, he doesn’t eat so I worry about him collapsing. Jinsim wants to talk to him more, but her manager calls to her so she has to leave. She tells Sewan to please take care of Jungrok. Sewan wonders if he should have told her about that or not, she will worry, well, I did it to make her worry anyway. In the law office, the entire team is together talking over the case. Im Yooni is released on bond and took the insurance money and disappeared, it is suspicious. Park Soomyoung says that he stabbed the person only once. If that is true then there is co-murderer. All the lawyers put their head together on this. They wonder if she has another man so soon after her husband died? Choi thinks that they might have been together before the relationship. He is an expert in cases like this. They think this guy is involved as well. They keep talking about it. In the end of the meeting Dan and Choi tell Yeon that he looks super cool during this meeting. Tey forgot that he was actually a lawyer. Yeon starts to talk about a play on words with Yeon byun because it is like a cursing word. Byun is lawyer, so he is Yeon Byun which is Yeon lawyer, but it is also like saying “Mother-fker” or any kind of curse word. They all leave the meeting. Eunji wonders if they should pick another lawyer for Jungrok? Yeon says that his secretaries maternity leave only has a month left so maybe they can pick an intern. The extra intern hops up at light speed to beg for the position. Please! Please! Please! yeon tells him that he is the only applicant for the position so he is hired. In his office, Jungrok continues to think about Jinsim when Yeon and the extra intern comes in. The intern says that he will be the BEST INTERN EVER. he then goes about asking all the things he should do, but he sees the love messages and pauses. Jungrok starts to remove them quickly and tells him that he can find some cases. Later on, Jungrok leaves. the intern is sitting at the secretary desk and is eager to go with him wherever he is going. Jungrok says that is okay. The intern also wants to know if he wants him to buy anything for his lunch? Jung rok says it’s okay and hurries out. The intern thinks and wonders, he thinks that Jungrok may be in a corner, but he is still a tiger. I will learn everything from him and see how he gets out of this pickle! Then he opens a drawer and sees a something that is from secretary Oh. At work, Jinsim thinks about all the trouble that Jungrok is in and what Sewan said. She cannto focus. Her manager tells her that they can go home and rest after this scene. The xtra intern, philip, calls her and tells her that he is supproting Kwon from today, but I saw your pen. Can I keep it as a suvineier? he smiles and says yes. But she also starts to ask something. Cut to Jungrok answering his phone. Someone on it tells him that he could not find anything. Jungrok goes back to the office. Philip says that they have a special guest, I told her about her pen and that I could ship it to her but she said it was very improtant and I should pick it up. I also have work to do for the CEO so, um, goodbye. He hurries out. Jinsim is sitting in Jungrok’s office. She stands when he comes in. JS – Well, I came here to pick up my pen, I just wanted to say hi…..your data, Ileft it here. JS – You knew it and did not say thank you? You should at least say thank you…..well, you have to pay for it because I gave you that kind of good quality data so you need to pay for that. According to the law, if someone does an improtant thing for others then that person can ask for payment for the work, you know that right? So, buy me a meal. Or….should I buy it for you? Well, you didnt’ ask me to do it so maybe it was a bit of a burden so ….let me apologize, I can buy you lunch, what would you like to eat? I will buy it for you. JR – Oh Jinsim, we broke up, don’t you remember? JS – How can I forget it? Of course I know, but, I worry about you. You are having a hard time, from the report I hurt my feelings. When I was having a hard time, you were always next to me. I can’t do this for you. We are not in that kind of relationship anymore. But I still came. I worried whether you would hate me or not like it, but I still came because I want to eat a meal together. Just in case you collapse from not eating at all. JR – You don’t have to worry about it, as you said, we are not in that kind of relationship at all. JR – So, don’t worry about me and just do your job well. Forget about what happened here and do your job as quickly as possible. He walks back to his desk and sits. Jinsim is about to tear up again. She picks up her purse and heads out. But she gives him one last look before she leaves and sees that all the post it notes are gone. So, she turns and walks out. He looks up as soon as he is sure that she is gone. Jinsim gets home looking bummed. Her manager is bright and energetic and says that he bought something for her. But Jinsim says that the lawyer had a hard time recently so I worried about him and went there. He was not warm like before and all my memos were removed. Maybe he has really wrapped up our relationship. What should I do? In the office, Haeyoung asks why Yoonseo came there? Just to pick up a pen? that super busy person? Dooseob says that he understands her, there are some things that aren’t improtant to others but they are important to them. He pull sout his book that has a leaf in it. DS – When I was a primary school student visiting my grandma, I picked up this leaf and made it into a book mark. If I lose it then I will be so sad. In his office, Jungrok is trying to get back focused on the case. He flipps through a few papers and finds something. Dooseob comes in and tells him that he has a few more CCTV videos but he did not find anything. He also asked his detective friend to help him on it. Jungrok tells him that the evidence picture is a little strange to him, there is so much blood that prayed, but why was Park Soomyoung’s clothes clean. Cut to the court case, Jungrok mentions the clothing. The clothes had a spot of blood on it, and is also evidence that he only stabbed once. The critical wound that killed the victim was the second wound in the chest because it cut the artery to the heart and he died with bleeding. You saw that there was a lot of blood everywhere. As soon as the criminal took the knife out, there should be a huge splash of blood. But there was only a little bit of blood on the defendant. It is difficult to understand. Also, Im Yooni took part of the insurance money and disappeared on Bail Bond. She gave up more than 2 million dollars and disappeared. What is the reason? Do you all think that the prosecutor investigated enough? The prosecutor calls his only witness, Im Yooni. Im Yooni comes in, everyone is stunned. The prosecutor asks why she could not be contacted? She says that she just took a little vacation. She is asked who stabbed Kim Youngtae twice with a knife. She turns to Soomyoung and tears up as she tells him that she is sorry. The prosecutor asks if Park Soomyoung is the one that stabbed her husband? She says that he is. At the end of the case, Jungrok runs out to catch the woman but he is crowded by reporters. In the prosecutors office, the bad guy says that he is so happy that they could contact her otherwise there would have been big trouble. But how did you contact her? His assistant says that she contacted them and said she wants to be a witness. In the law firm, the team wonders what is going on? ow can she just show up suddenly like this? Now the public opinion is worse for us. At the same time, Jinsim is looking at the news on her phone. Her manager wants her to stop, it will make her depressed. But his guilt takes over. He stops the car and tells her to hit him across the face. Jungrok did not break up with you because he did not like you anymore. Elsewhere, Jungrok gets a call, Dooseob has the CCTV! Cut to them both looking at the CCTV. It is of a man on a bike that ran into someone? Or something similar to that. Jungrok shows it to Yeorum and asks if she can get the finger print from where he touched the bike rack (from like months ago???? I’m confused). At home, Jinsim takes in that Jungrok broke up with her because he liked her so much and cared about her so much. She thinks back to the break up and relives it for a moment. JS – It wasn’t that…. She tears up but also smiles. Jungrok walks to work and is stopped by Jinsim. She happily made him a lunch box and tells him to enjoy it. Don’t skip your meals. JR – Oh Jinsim shi…. JS – I have to leave, I am in a hurry, enjoy and fighting! You should finish everything! Later on he walks somewhere else and runs into her again. She asks him if he would like to have lunch? I found a restaurant without too many people. He pulls her to a side are and says that she sholdn’t show up, what if poeple take photos and there is a scandal? She says that she will decide these things from now on. She wants to see him when she worries about him, she will do that from now on. The bond woman talks to Soomyoung in jail. She is teary and asks if it is hard. She tells him that he tried to protect her and became like this. When you came to my house, do you remember it? He says that he protected her and saved her. She says yes, but don’t you remember that you stabbed twice? He says that he only stabbed one time. But then her face turns evil, she tells him that he stabbed him twice, you are the one that killed him. Cut to yeorum calling jungrok with the finger printing results. It is the finger prints of a dead person. It is Im Yooni’s ex-husband! Jungrok meets with him and says that the dead body must have been switched. Cut to the court case, Jungrok says that the person in the video is Im yooni’s ex husband who was reported dead. He is still alive and part of this crime. They found the real identity of the dead person. it is her father, dun dun dun! Everyone is stunned, it looks like this is case closed. They find the ex-husband somehow and bring him in to interrogate him. Yeorum asks him if he is the person that stabbed him? You are the prime suspect, you can not say anything, but if you don’t say anything then you will be responsible for what happened because Im Yooni says that you did everything. he says that she did it! She asked me to do it! I am the victim. Im Yooni called Soomyoung a week before it happened and showed that she was beaten. She says that she hoped someone killed him for her. Then we cut to the day it all happened. He stabbed the husband, she tells him not to tell anyone that he was there, promise me! He promises and leaves. She turns evil as soon as he leaves and tells someone in the back that it is all done. The ex comes out and tell she to call the police. She says that it crazy, the police will suspect me. They need to find out that he is the real murderer so they pity me and wont think that it is insurance fraud. Okay? So just leave. I called you just in case, but I don’t need you anymore. But then her newest husband wakes up. The ex-husband stabs him with the knife. She takes it and tells him that she wil take care of it from now on. Don’t call me. The ex-husband looks so nervous and more like a beta man who will do anything for her. This all comes out in the news. It comes out that she is a gambler so she took all her appa’s money and then her first husbands money and then second husbands money. She will continue to do it all. Haeyoung is so happy that this woman is the worst woman of the century now and Jungrok is a star. They ask were Yeon is. Someone says that he is busy with interviews. Cut to Yeon happily talking to people on the phone about being Jungrok’s mentor and how Jungrok is following in his footsteps of righteousness. I am so happy that he understands our company, our motto is to find the truth and have righteousness and justice….hmm, is this enough, do I need to say more….are you interested in how I grew up? CLICK. Yeon wonders why they hung up, should I call them back? He goes to talk to Jungrok and asks if he wants to eat something? Jungrok says he is pretty tired and will just pack all the case things up and go home. Yeon thinks that is a good idea, especially for a hard working day like today. he keeps packing and then thinks about Jinsim and the first “date” they had where he just wanted to drink soju with the two of them. JS: Lawyer, we should drink soju on a day like today. What about that pork potato soup place we went to before? She waits for him at the tiny cafe. She already has the food ready. Some people come in, but it si not Jungrok. She sighs and waits some more. JR – Can I talk to you for a second? They go outside to a quiet area. JR – Oh Jinsim shi, why do you do this? JS – I don’t know, why shouldn’t we? I heard everything lawyer. I know why you left me. I had harsh times, but I could get over all those hard times because I was with you. I became stronger. Losing our chance due to a scandal….I am more afraid of you leaving me, so….if you really care about me then stay with me. Let’s start over. JS – Are you really not going to hold me anymore? If you let me go then we won’t see each other forever. But then he takes a step closer to her. JR – Oh Jinsim…I love you. He steps closer again and softly holds his head in his hands as they kiss. This is a super deep kiss on the street, y’all. So glad this case wrapped up. It took a lot of twisting of the logic to get there, but at least it is over. Now next week we will have a lot more cute ness! Hopefully no more super serious cases will interrupt the joy. Funny cases are perfectly fine. JS – I don’t want to go home, I want to see you all the time. Yeon – No one wants to do it? JR – I will do it. Choi – Why are you doing this! You make me mad. JR – To protect you, Oh Jinsim, we should super secretly date. JS – Oh, more secretively? JR – Even though he is the manager, you still have your personal life. 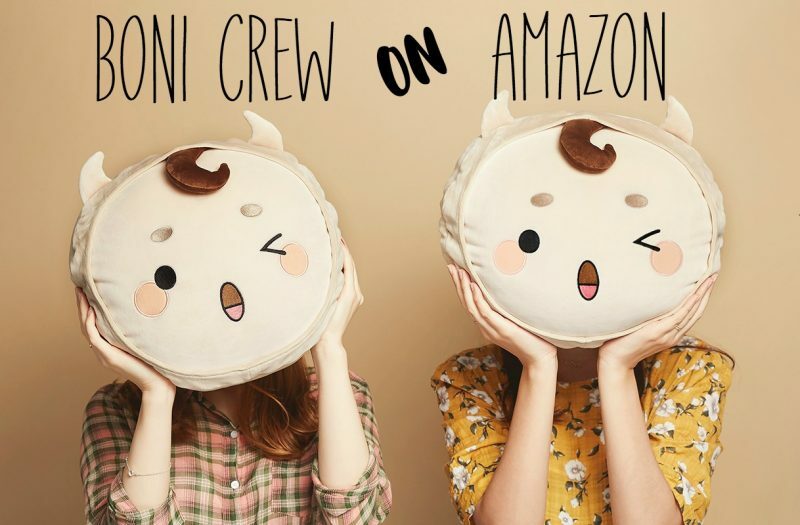 Yeon – How is Yoonseo and the male character? JR – Super good at kissing??? 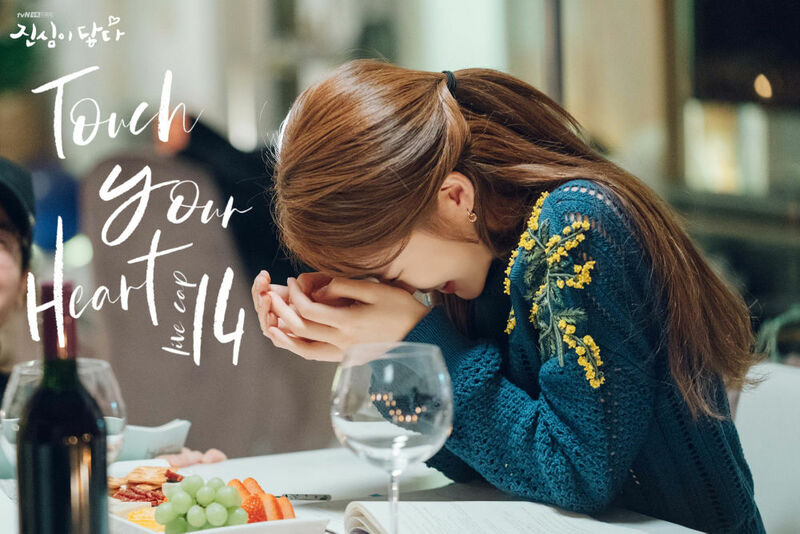 JS – Oh, I have a kiss scene in #4. Yeon – What if they start dating after this drama.